It has been a while since I posted something on this blog. Actually, it has been a month. That is the longest I have ever gone without writing. However, there is a good reason. For those who do not know, moving is a time-consuming process with a lot of moving parts. Heck, we just got internet today. It is hard to blog without internet. Although we have been here for a couple of weeks, things are still in a state of flux. Many things are not in the places that they should be in. We have not figured out all of the light switches. However, we are getting settled in. I really have nothing to write about. I just wanted everyone to know that I have not gone anywhere. Today, I sat around the house while the internet got hooked up. I got some reading done. Currently, I am reading The Carpetbaggers by Harold Robbins. I always liked the movie and decided to read the book. It must have been scandalous when it came out in 1961. I also watched Waterworld for the first time. According to everything I had heard, it is one of the worst movies of all time. Well, it was not that bad. 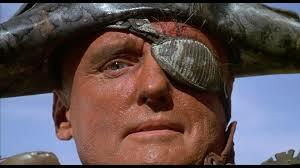 In fact, I kind of enjoyed Dennis Hopper as the bad guy. Anyway, I promise to not to stay gone for a month in the future. My friends and I have some weird text conversations. We talk about all sorts of things, but we mostly try to stump each other on trivia. We consider ourselves experts in all knowledge that will only lead to fortune on a game show. The other night we had one such conversation. Hopefully, you can tell that the conversations can go in any direction. It went, with slight edits, as follows. to help guide you through this high level conversation, my friend’s comments are in bold. 85 years ago the old Southern Conference became the SEC. There were 13 original members. Did you know Sewanee was one of them? Georgia Tech also. I believe they dropped out in 64… when did Sewanee get out? John Lennon was killed 37 years ago today. Although, Archie Moore died on this day in 1998. Correct. My bad. The Ole Mongoose was cornerman for Foreman when Ali stopped him in Zaire. Moore’s last fight was against a young Cassius Clay in 62. He also played Jedediah in The Carpetbaggers, one of the all time great movies. Yes, and was in The Adventures of Huckleberry Finn. Sugar Ray Robinson was in a couple of Sinatra movies. Archie Moore also worked with James “Quick” Tillis, a Tulsa heavyweight who was a great boxer but not much heart. Tillis played in The Color Purple with Oprah. I flew in 81 to Chicago on a junket to see Tillis fight Mike “Hercules” Weaver for the WBA title. Tillis was named Sprint Tillis after the fight. He ran all night long. I saw better fights in the halls of high school. Which boxer was in the Tony Rome movies? Tillis’ daughter was an outstanding basketball player at Duke. Iciss Tillis. Cassius Clay in 62 was in Requiem for a Heavyweight with Jackie Gleason and Anthony Quinn. Rocky Graziano was in Tony Rome. I thought somebody else was in those movies. Sinatra got Joe Louis a job as a greeter at Caesar’s Palace. Max Schmeling paid for his funeral. As Christmas wound down, I turned on the television; flipped through the channels; and came upon The Sons of Katie Elder. This is not one of my favorite westerns, but I was lucky enough to catch the opening scenes, which I have always thought were cool. As I watched the movie, I realized a couple of things. Martha Hyer, who plays the wholesome love interest of John Wayne, played a completely different kind of role the year before. She was soiled woman in The Carpetbaggers. 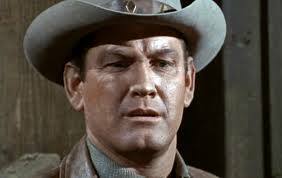 Also, I realized that Earl Holliman, who played one of Katie Elder’s sons, shows up in a lot of old movies. That is when I decided to find out if there can be any wisdom found in the movies of Earl Holliman. This is what I discovered. Anybody that throws $10,000 in a spittoon makes me nervous. We’re all part monsters in our subconscious, so we have laws and religion! One cannot behold the face of the Gorgon and live! Just remember, one of these days, that bourbon’s gonna kill you. There’s always a man faster on the draw than you are, and the more you use a gun, the sooner you’re gonna run into that man. Poker’s played by desperate men who cherish money. If any of the girls try and tell you how wonderful you are, don’t believe them. Don’t take no guts to kill a man when he’s cuffed! There you have it. The wisdom of Earl Holliman. 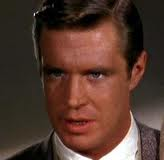 Hollywood did everything it could to make George Peppard a leading man. He appeared in several classic movies but never reached the star status that many had envisioned. In fact, his most enduring role was on “The A-Team”, the action-packed show that introduced the world to Mr. T. Despite this declining career arc, wisdom can be found in the movies of George Peppard. Be the kind of man that walks around with nothing in his pockets, no identification because everyone knows who you are. No cash because anyone in town would be happy to lend you anything you need. No keys ’cause you don’t keep a lock on a single thing you own. And no watch because time waits on you. You could always tell what kind of a person a man thinks you are by the earrings he gives you. It’s useful being top banana in the shock department. Anyone who ever gave you confidence, you owe them a lot. It’s better to look at the sky than live there. Well, it don’t pay to eat too much on an empty stomach. There ain’t much glory in lookin’ at a man with his guts hanging out. Well, a man is judged by what’s in his head, not in his bed. Forty nine percent of something is better than a hundred percent of nothing. The difference between an amateur and a professional: a professional figures out a way to cut down the odds before he makes his move. A man starts choking a woman is looking to go to hell in a hurry. If you can’t handle whiskey you shouldn’t drink. All the dead are dead – and the living are dying. In previous Movie Wisdom posts, I have purposely avoided television series. After all, it is about the wisdom in movies. However, Peppard played a television detective named Banacek who quoted Polish proverbs. If you like, then you should watch this compilation of those sayings.